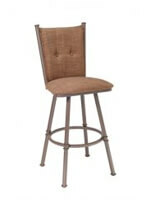 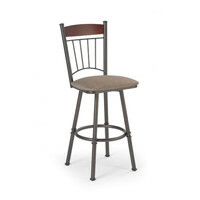 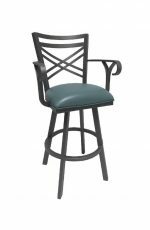 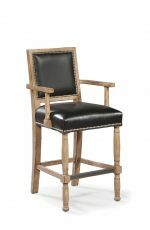 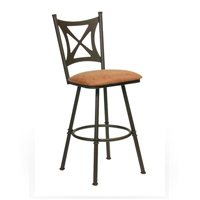 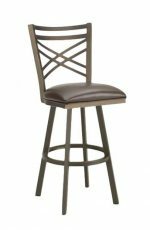 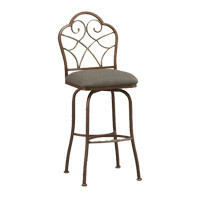 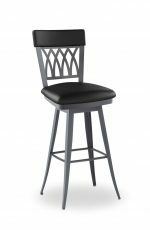 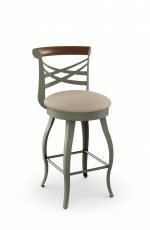 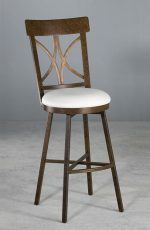 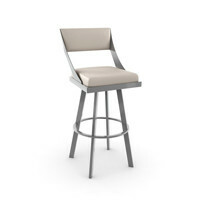 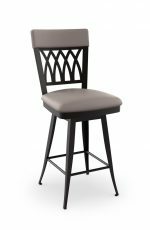 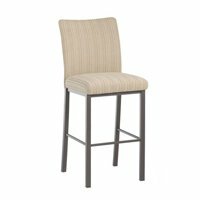 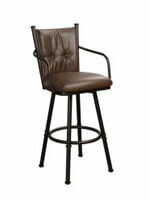 Buy Portsmouth Transitional Wood Barstool w/ Cross Back - Free shipping! 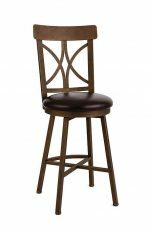 Bring home comfort and style with the transitional country Portsmouth stool by Fairfield featuring a cross-back design, well-cushioned seat, wooden frame, and metal footrest. 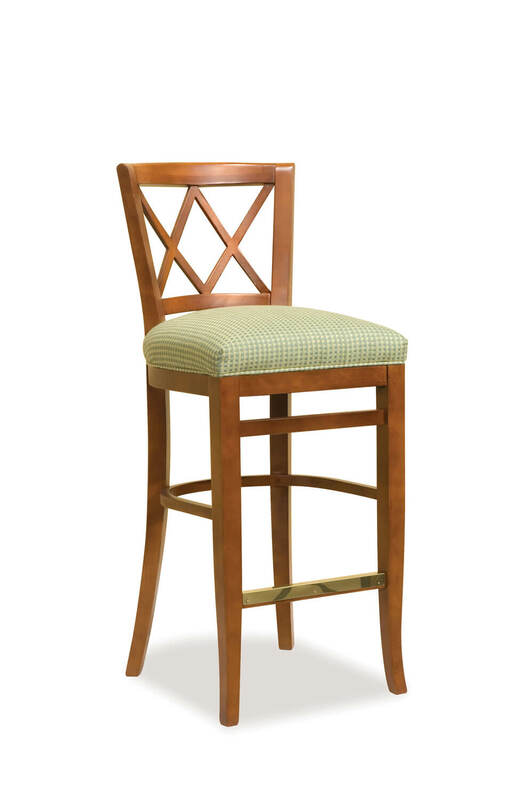 From enjoying a glass of Chardonnay, to admiring the views of the water, we’re sure you’ll be comfortable in the Portsmouth bar stool. 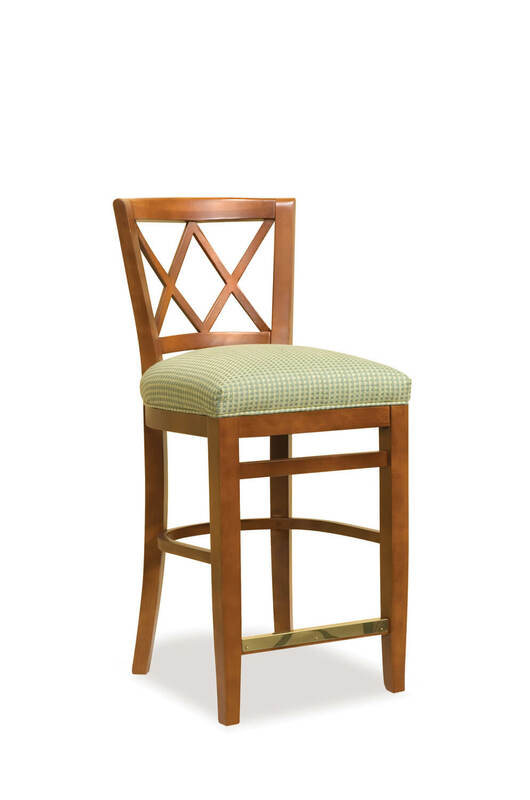 • For the Portsmouth Upholstered Wooden Stool with Cross Back, you will need 1.50 yards per chair.